We’re SO CLOSE to the long weekend! Today I’m bringing you another sale alert! (There are SO many great sales this weekend, so I’ll be updating you all weekend!) If there is anything you’ve had your eye on, it’s the perfect time to purchase! J.Crew is having a 30% off in stores and online for regular priced items!!! (I have seen a few items that are excluded from this sale though.) 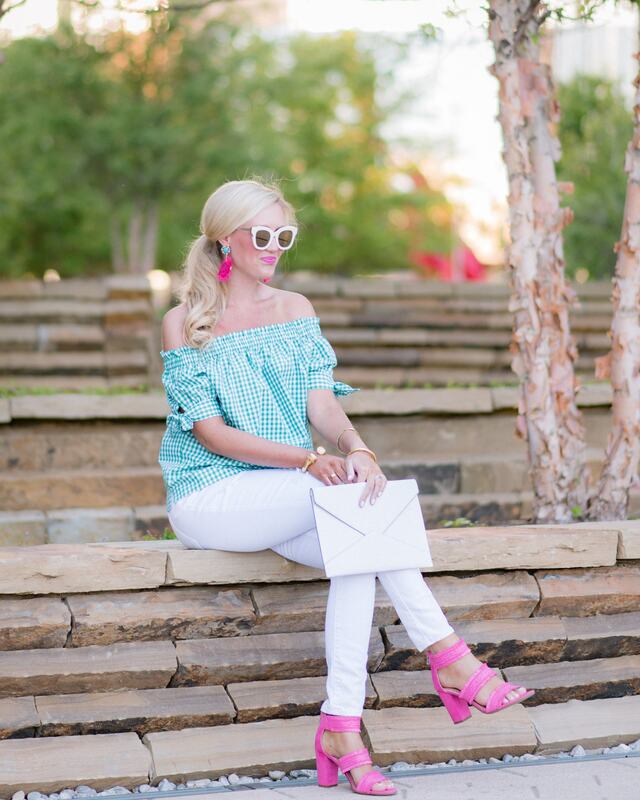 This fun tie sleeve gingham top is on sale for $41! I ordered a Tall size 6 in this shirt to give it a longer length. 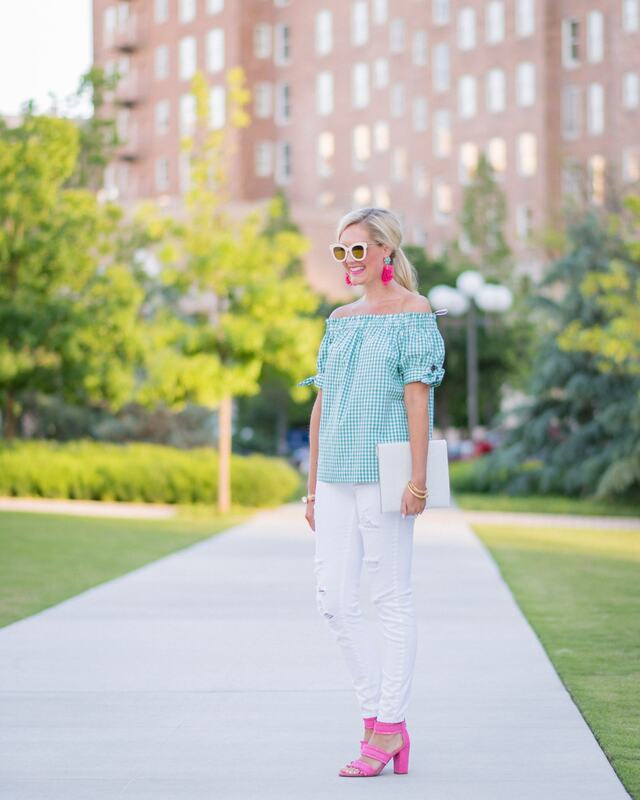 I paired this top with my favorite distressed jeans from Old Navy and some pops of pink! 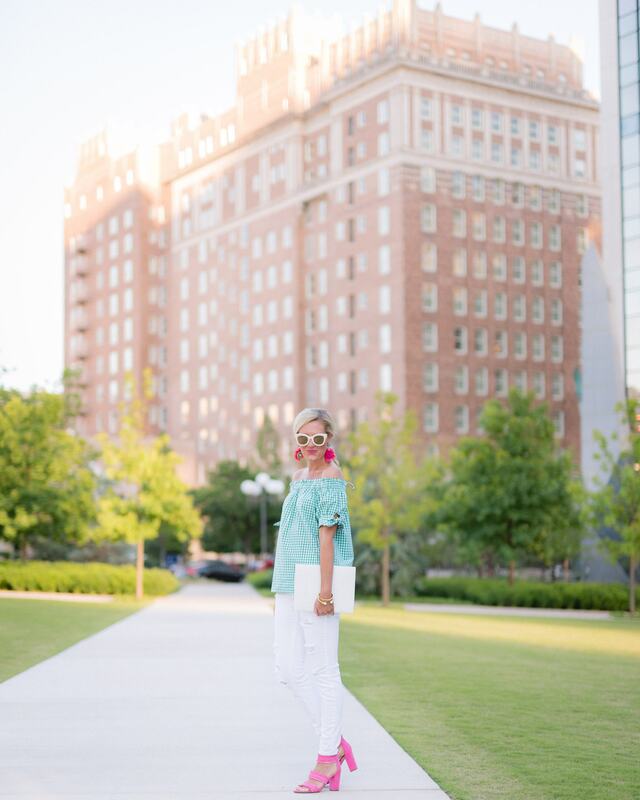 I’ve included all of my sale picks below for the J.Crew sale! There are so many items on my Wish List!